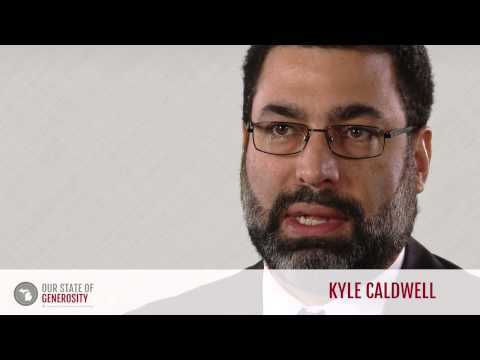 Mr. Kyle Caldwell launched his career as an intern working in the Michigan governor’s office. He quickly grew into statewide leadership roles including as the executive director of the Michigan Community Service Commission, and chief executive officer for ConnectMichigan Alliance and the Michigan Nonprofit Association. Mr. Caldwell also held national leadership roles with Independent Sector, National Council of Nonprofits, and the Points of Light Foundation. He brings a reflective practitioner’s point of view to his ongoing work in Michigan. 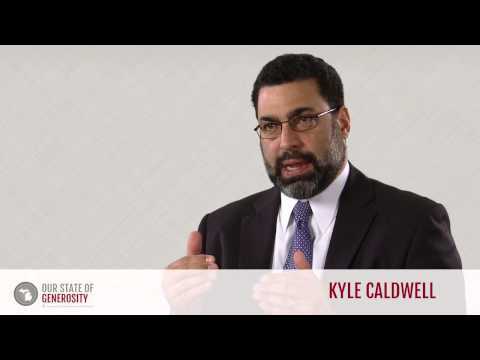 Mr. Kyle Caldwell talks about his career in philanthropy. Mr. Kyle Caldwell talks about the balance between mission and the business model in nonprofit work. 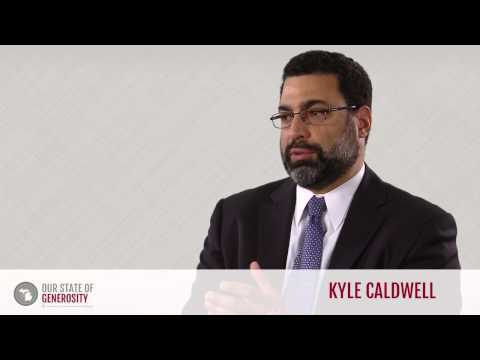 Mr. Kyle Caldwell talks about the importance of serving and understanding multiple roles in the philanthropic community. 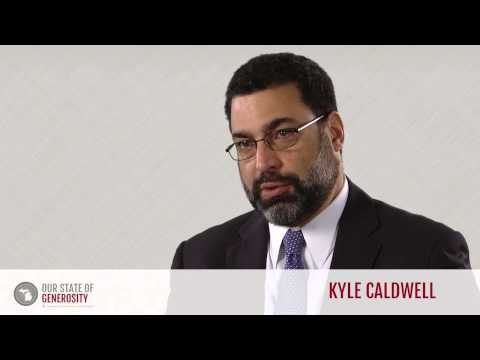 Mr. Kyle Caldwell talks about the collaborative nature of the roles of Michigan's philanthropic organizations. 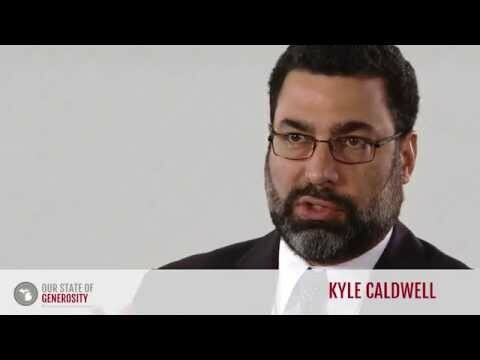 Mr. Kyle Caldwell talks about Michigan's collaborative culture and how overlapping boards negotiate with one another. Mr. Kyle Caldwell talks about how working with public policy in the nonprofit sector is an imperative, not an option. 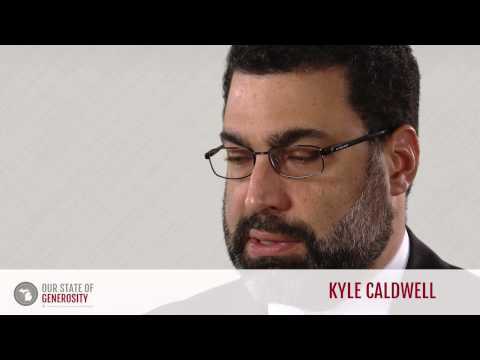 Mr. Kyle Caldwell talks about how fearless and servant leadership inspired the development of the ConnectMichigan Alliance (CMA). 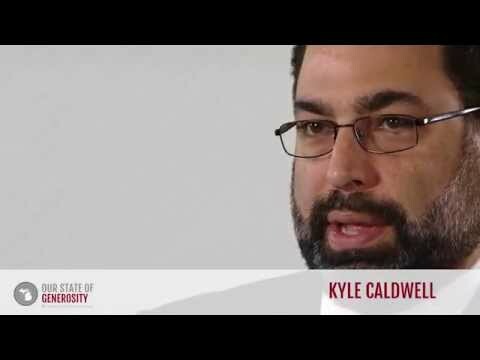 Mr. Kyle Caldwell talks about how servant leaders empower others and get work done. 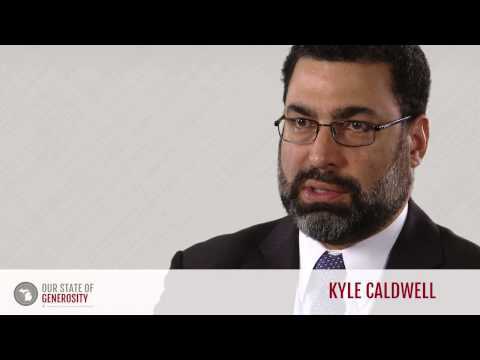 Mr. Kyle Caldwell talks about how servant leadership is at the root of Michigan's philanthropic magic. 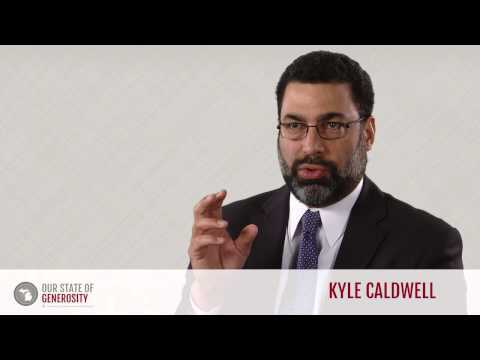 Mr. Kyle Caldwell talks about the importance of big vision and giving yourself space to dream. Mr. Kyle Caldwell talks about how a belief in infrastructure has been a driving force for systemic change in Michigan. 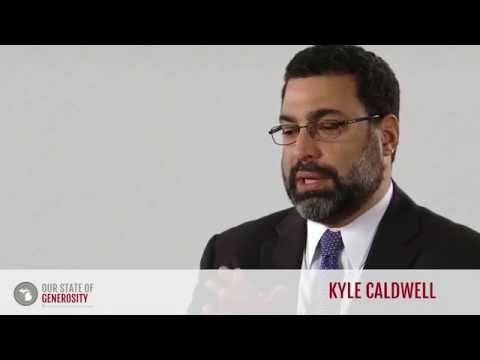 Mr. Kyle Caldwell talks about how only people, not institutions nor money, can solve the problems that face philanthropy. 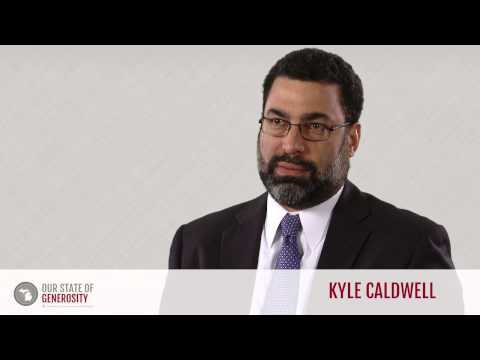 Mr. Kyle Caldwell talks about how to build your own board to drive your own missions. Mr. Kyle Caldwell talks about his involvement in starting Michigan CARES and promoting local collaboration. 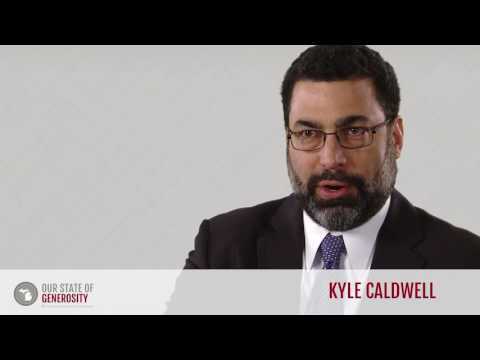 Mr. Kyle Caldwell talks about the messy, but beautiful nature of philanthropic work. 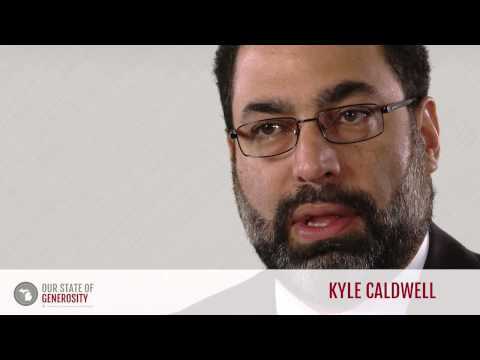 Mr. Kyle Caldwell talks about his philosophy on mentoring new leaders. Mr. Kyle Caldwell talks about how being a volunteer informs philanthropic leadership practices. Mr. Kyle Caldwell talks about how the culture of playing well with others created Michigan's philanthropic "magic." 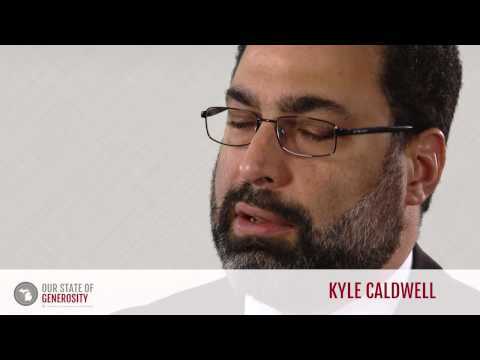 Mr. Kyle Caldwell talks about the rewards of leading from behind, rather than driving projects yourself. 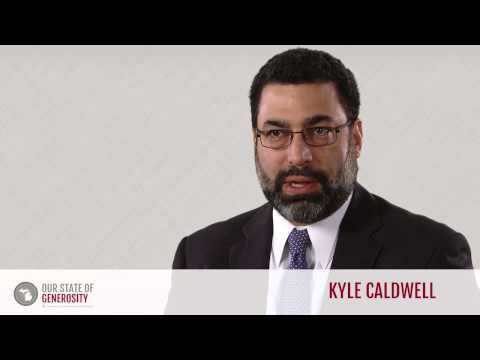 Mr. Kyle Caldwell talks about the importance of investing in human capital. 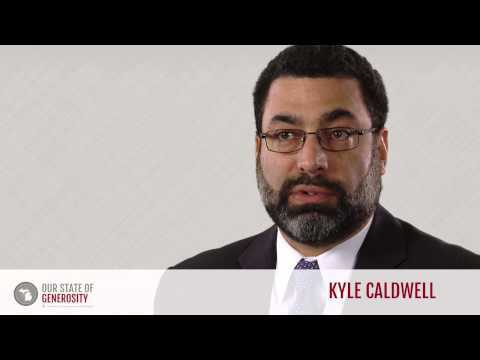 Mr. Kyle Caldwell talks about how the beauty of Michigan philanthropy comes from its non-linear, kaleidoscope approach to networks and collaboration. 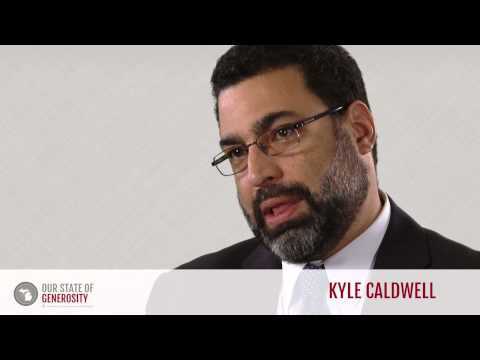 Mr. Kyle Caldwell pursued his interest in photography and photojournalism at Lansing Community College, where he graduated with an Associate of Arts degree in photography in 1985. After working in the industry, he then went to Western Michigan University and received a Bachelor of Arts degree in communication studies in 1991 and a Master of Arts degree in organizational communication in 1993. In 1993, Mr. Caldwell accepted the governor’s management intern position at the Michigan Community Service Commission (MCSC), an organization he knew nothing about, but quickly learned to appreciate. This post, positioned within one of the key philanthropic infrastructure organizations of the state, provided an introduction to the realm of formal philanthropy. Mr. Sam Singh, who would later head the Michigan Nonprofit Association, was also serving as an intern for MCSC at that time. Together, Mr. Caldwell and Mr. Singh assisted in implementing AmeriCorps during its first year in Michigan, and helped in establishing the first Governor’s Service Awards. After two and a half years, Mr. Caldwell left MCSC to take a position teaching photography in the Van Buren County public school district for a year. He then accepted a position at Olivet College as the director of corporate and foundation relations, where he remained until 1998. Mr. Caldwell was appointed by Gov. John Engler as the executive director of the Michigan Community Service Commission in 1998. He served as the executive director for six years, during which time the organization underwent many changes and developed multiple new programs. Mr. Caldwell’s stewardship helped the commission successfully transition from Gov. Engler’s administration (under which it was founded) to Gov. Jennifer Granholm’s administration, while many other state commissions found such a transition problematic and faced elimination or extensive reconstruction. MCSC saw programmatic growth during this period as well, with the introduction of Citizen Corps, the rapid growth of the Governor’s Service Awards and the launch of Mentor Michigan. Citizen Corps was created in response to the terrorist attacks of September 11, 2001, and created opportunities for citizens to volunteer to help communities prepare for, and respond to, emergencies. Additionally, Citizen Corps helped build collaborations between different first responder organizations and local leaders, some of which continue today (1). Mentor Michigan was launched by First Gentleman Daniel Mulhern as chair of the MCSC, to promote mentoring as a statewide mentoring initiative. While at MCSC, Mr. Caldwell helped with a sector-wide movement to create the ConnectMichigan Alliance (CMA). This movement was in response to a growing concern that Michigan’s nonprofit sector would struggle without a robust network of volunteers and an infrastructure with which to manage it. Many key leaders realized that this type of network’s success would be greatly dependent on consistent public and private funding, which was uncertain at the time. This uncertainty was compounded by the impending conclusion of Gov. Engler’s administration, and so a campaign was started to create a permanent endowment to support and promote volunteerism. Gov. Engler championed the creation of a $10 million, 1-for-1 challenge grant by the state of Michigan, which matched funding from the nonprofit sector (private, family, and community foundations), the for-profit sector (corporations and sole proprietorships), and individuals. After the successful completion of the challenge grant, it was decided that a separate infrastructure organization should exist with a focus on volunteerism, and so the ConnectMichigan Alliance (CMA) was formed in 2001 with Dr. John Lore at its helm. CMA had $20 million of endowed public and private funds, and housed many initiatives that focused on supporting volunteerism, including Volunteer Centers of Michigan, Michigan Campus Compact, and America’s Promise, which were originally supported by Michigan Nonprofit Association. In 2004, Mr. Caldwell ended his tenure at MCSC to become the second president and CEO of the ConnectMichigan Alliance (CMA), succeeding Dr. Lore. At that point, the Michigan Nonprofit Association (MNA) was under the leadership of Mr. Singh, Mr. Caldwell’s colleague from his internship at MCSC. As both MNA and CMA grew and developed, it was clear that the organizations were filling similar roles in the sector. This started a discussion about a possible merger of the two organizations, which was supported by both Mr. Caldwell and Mr. Singh. When the merger took place in 2007, both leaders supported giving MNA’s board the ability to choose the new president and CEO of the newly strengthened MNA. Mr. Caldwell was asked to fill the role, and Mr. Singh took the opportunity to travel the world. While serving as president and CEO of MNA, Mr. Caldwell oversaw significant growth in MNA’s membership and finances. He helped strengthen public policy advocacy throughout the sector by training nonprofits and supporting the creation of the Governor’s Office of Foundation Liaison and the Michigan Nonprofit Council for Charitable Trusts, as well as the formation of a bicameral and bipartisan nonprofit caucus within the state’s legislature — one of three in the nation at the time (2). Mr. Caldwell was also proud of MNA’s commitment to promoting collaboration under his stewardship, encouraging and assisting in strategic alliances in the face of poor economic conditions, and helping found the Nonprofit Center at the Marshall Street Armory in Lansing. The Nonprofit Center houses MNA, the statewide United Way, and the Capital Region Community Foundation, alongside other Michigan nonprofits under one roof. Also under his leadership, MNA increased its commitment to improving the capacity of Michigan nonprofits through its creation of NPower (now called Highway T) and Data Driven Detroit. 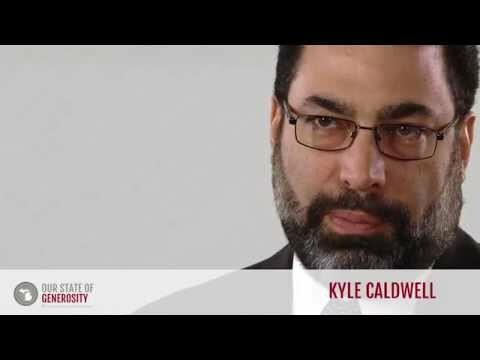 Mr. Caldwell left the Michigan Nonprofit Association in early 2013 to become the director of the Pathways Out of Poverty program at the Charles Stewart Mott Foundation. Pathways Out of Poverty is a $30 million portfolio of focused grantmaking that targets improving community education, expanding economic opportunity, and building organized communities as a means of addressing poverty in the United States (3). In 2015, Mr. Caldwell accepted the position of executive director for the Dorothy A. Johnson Center for Philanthropy at Grand Valley State University. In addition to Mr. Caldwell’s career in the sector thus far, he has been heavily involved on a variety of volunteer boards, both at the state and national levels. Many of these volunteer commitments have been to infrastructure organizations, including: Dorothy A. Johnson Center for Philanthropy’s Leadership Council; advisory committee for the Our State of Generosity project; National Council of Nonprofits’ board of directors; board member for Independent Sector and Points of Light; and public policy committee member for Independent Sector and the Council of Michigan Foundations. Mr. Caldwell was interviewed regarding his insights and experiences in working with Michigan’s philanthropic community and the Our State of Generosity (OSoG) partners. The following are selected quotations from his interview specifically related to the five organizing themes of the OSoG project.